Learning How to Add Milk to Soap is a great thing if you are a soap maker. It makes a very popular soap for good reason. In fact, the wonderful lady who got me started making my own soap raises her own goats and makes amazing Goat Milk and Honey Soap. I’ve always been partial to these recipes. 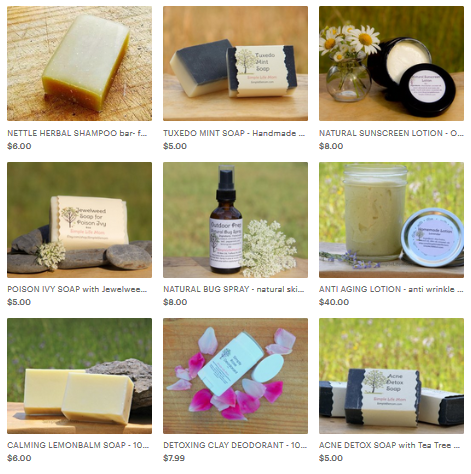 Surprisingly, some people don’t use a ton of milk OR honey in milk and honey soaps. Others will replace the entire water requirement for the recipe. Either way, there is just enough of each to change the color and increase the quality (Honey adds a wonderful bubbly froth to the soap and nourishes your skin.). Why Add Milk to Soap? Milk increases the moisturizing qualities of your soap. I believe that milk helps the soap to actually cleanse your skin better. I use raw milk which also adds extra vitamins and nutrients. And YES you do absorb them. How I add the milk does not kill the vitamins and your skin is a large absorbing organ that absorbs the nutrients and moisture. Can I Use Different Kinds of Milk? Everyone has their favorites. I do not have goats, but I have access to great raw cow’s milk and it is more than sufficient. Try some different kinds and take notes as to the difference in the making and the end product so you’ll learn what you like best. First, decide how much water you want to replace with milk in your favorite recipe. Add the lye to the milk or milk/water combination VERY slowly! I’m meaning, add a tiny bit and stir, wait 5-10 minutes and add more. Add a teeny bit more and wait. Continue until you have added all the lye. Measure and Combine your milk and water. Put it in the freezer until it is half frozen (not solid). I’ve read that some people put it in ice cube trays and add a cube at a time to their water. Slowly add the lye, watching the temp to make sure it doesn’t go too high. Remember, if you make it too cool you can always put the lye mixture in a hot water bath to increase the temp. slightly if you need to. If you are using a powdered milk product, make sure it is of good quality with no nasty extra ingredients. Either reconstitute with the water needed and follow method one (above), or add at trace. If you add at trace, make sure you add a little bit of water and stir before putting it in the pot, otherwise you will have lumps. If you are using expired breast milk, use method one or two above. I have not tried this, but I’ve read about a number of people using it and it working great. If your milk looks like it is starting to curdle, you are adding the lye too quickly. It’s still ok to use as far as my experience goes, but you need to watch for clumps. If it starts to look bright yellow, green, or brown it means it’s heating up too fast. Don’t add any more for a while. I can’t wait to start making my own goat milk soap! It’ll be a while before my goats start making milk though. I’ll need to come back to this in about a year! Thanks! Thanks for linking up at Let’s Get Real! Making soap is on my list of to do’s. Love your great tips and am tucking this great info away for later. Thanks for sharing. 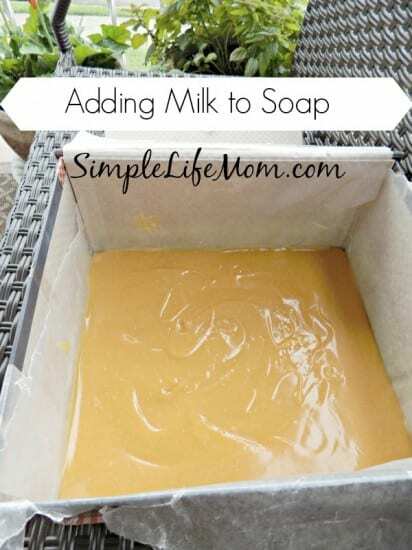 Thanks for this great post on adding milk to soap! I have made soap a few times and love it, but have not tried adding milk yet. Love your list of milks, too…hadn’t thought of coconut milk, that’s a great idea. And expired breast milk, that NEVER crossed my mind! I chose this as my favorite from last week’s From the Farm blog hop, and it’s featured on our Hop this week, thanks for linking up! My goat is pregnant! Goat milk soap is in my near future 🙂 Thank you for the tips! Do you need to use fresh milk or can you use older, more sour raw milk? If it’s raw, sour does not matter. Sour milk that has been homogenized and pasteurized tends to be more rancid than sour. can you add to part water then leave to cool , and add the milk to the cold lye mix? Yes, but you still want your lye to end up at around 100 degrees Fahrenheit. 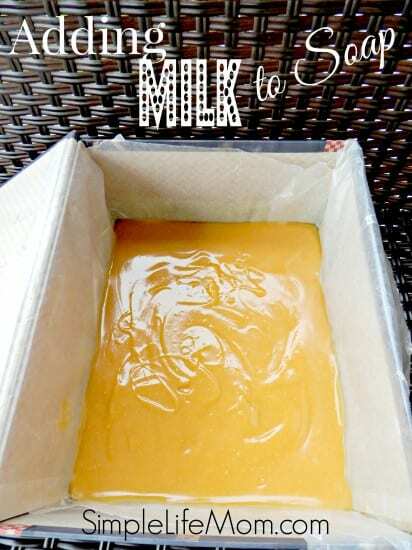 I know this post is older, but can you cook soap with milk using a hot process? Yes. Just use it as you would normally hot process. I found using macadamia milk in soap is great. Honestly I never knew there was such a thing, but one day as I was shopping for coconut milk (for soap) there it was. Thanks for the idea Kaleo! I have read some ppl place their honey soaps in the fridge or freezer to keep th from going through gel phase. Is this something you do? Or do you just leave it on the counter? Any type of sugars from milk, honey, juice, fruit purees or alcohols can cause the soap to overheat. If you are only adding a Tablespoon of honey to a batch then I wouldn’t worry about it overheating. If you want to add honey and milk, then you should be careful not to over insulate. Some people aren’t worried about over heating. They just want a lighter soap. Going through gel phase causes soap to become darker so that may be why they choose to put it in the fridge. I don’t like interfering too much with the ideal temps. of saponification, so I never place soap in the fridge unless it’s starting to overheat. I’ve done that too. 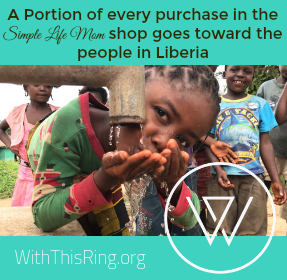 Getting it frozen or slushy is a big help! Hi Kelly, I have a lot of walnut oil from my own walnut tree. I would love to use this in my own made soap. Could I use this instead of another oil? And if so how much woul you recommend I use in a batch? I have never made soap before but I’m ready to learn! Thank you for sharing your experience! Graet and informative article. I will give it a try with raw donkey milk. It’s difficult to add any liquids to a melt and pour recipe because the saponification process has already finished. Thus, the liquids will just sit there. If you want to make a milk soap you need to use the cold or hot processing method instead. I have tried the goat milk soap but oil gets separated when i was stirring. When i put the milk lye mixture into the oils and stirred for 5 to 10 mins only its get traced. but i still mixing like coconut oil base soap , oil gets separated. I dont know where i did the mistake . What is the stirring time for after adding lye milk mixture into oils ? Pl advise. Make sure your temperatures are warm enough (around 100 degrees Fahrenheit) and use a had mixer or stick blender to blend. Thank you so much. how long will it take to get the trace ?